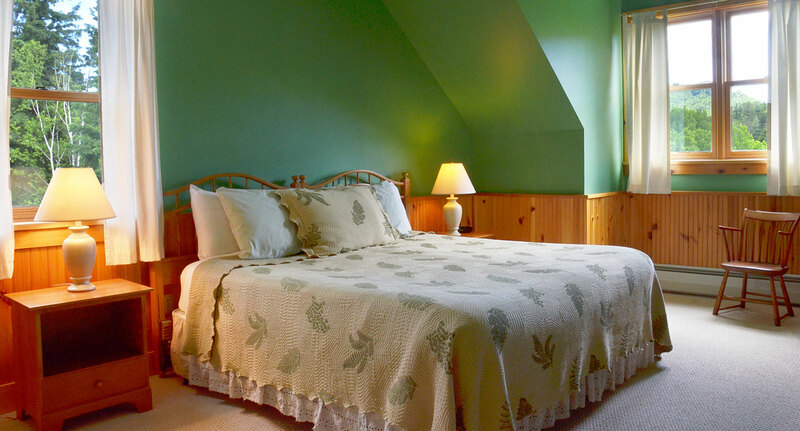 Interesting architectural angles, east-facing dormer window with mountain views, vibrant green walls with natural wood trim, and spacious layout combine to make the Fern Room our guests’ favorite. 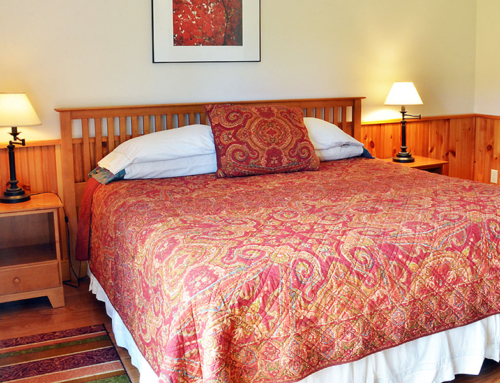 The room has a gas burning fireplace, king size bed and large shower bathroom. 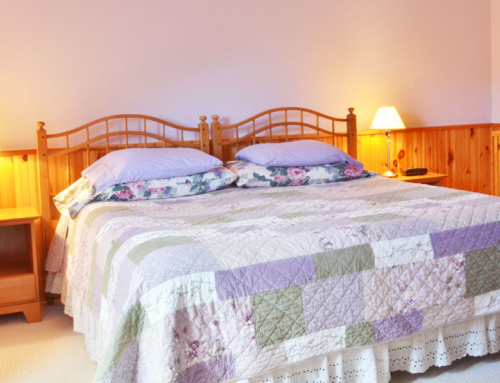 As you can see from the photo, the king size bed can be made into two singles. 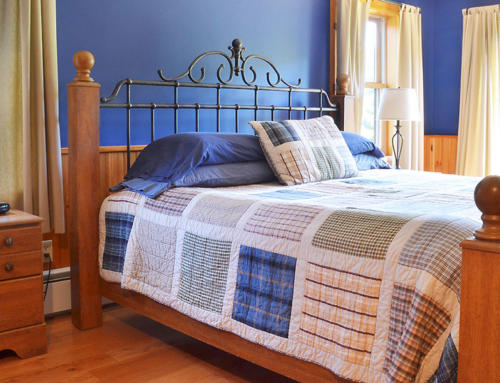 Additional Bed can be converted to singles. 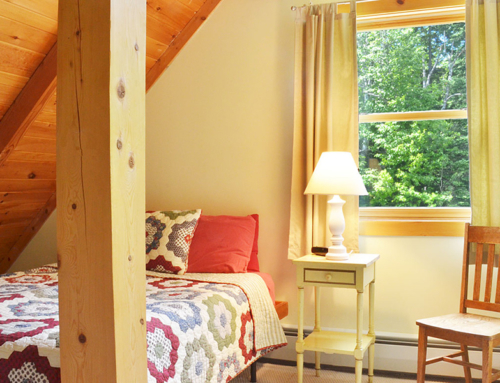 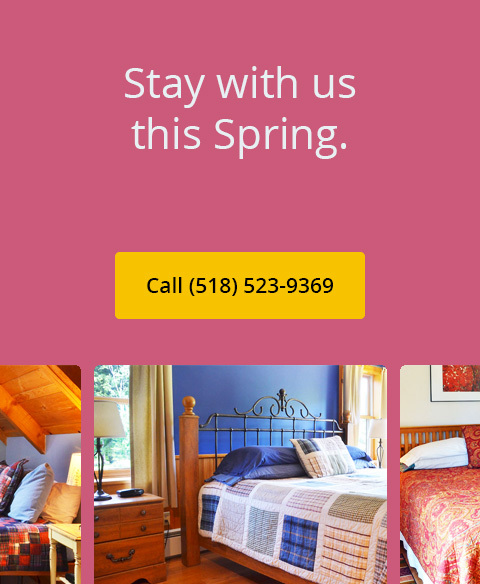 We have everything you need to relax and enjoy the High Peaks region of the Adirondacks. 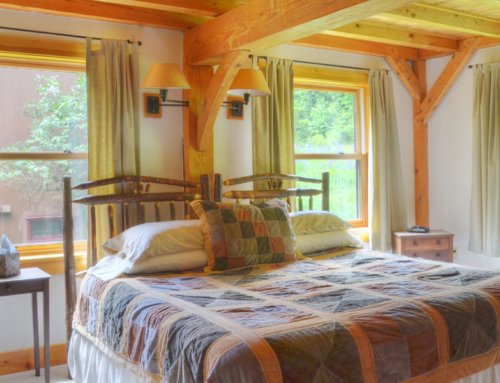 Our lodge is tucked away in a secluded meadow, and offers breathtaking mountain and woodland views from every window. 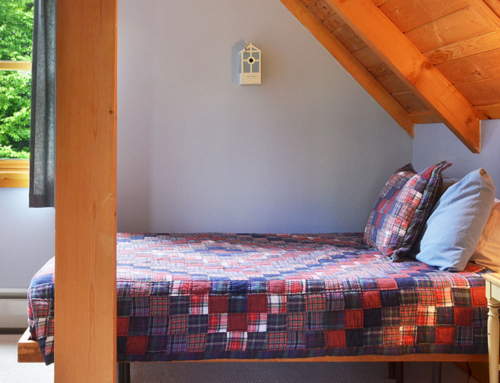 Just sit back in front of a toasty fire and gaze out the large living room window.